While there are no definite numbers regarding the number of readers in China, Amazon China has run a survey among its users in 2016 to measure reading preferences. (All numbers in the following are from the amazing What’s on Weibo blog. Thank you for your hard work of translating the original study!) They have received answers from more than 11,000 participants from 500 Chinese cities. According to the results, 80% of the participants have read more than half an hour every day. 50% of the participants have read over 10 books the past year. Another interesting finding of the same survey is that women tend to read more for pleasure, while men read more for knowledge acquisition or career planning. Generation Z prefers (not so surprisingly) fiction and study-related books. Millenials read about baby-care and finances, while people born between the sixties and the eighties prefer social sciences and philosophy. The Chinese publishing sector is regulated by the Publicity Department of the Communist Party of China. According to the Chinese Book Market Data (2014), there are currently around 580 official publishing houses in China, all of them state-run. While private publishers are officially banned, some ‘culture agencies’ work as quasi-publishers. These companies are working in close cooperation with state-approved publishers and using their ISBN and names to reach the market. In addition to official and private publishers, subsidiaries of international companies (like Pearson, Elsevier, Hachette or Springer) are also present in the market. Interestingly, while publishing is an ideologically important sector, the government has decided in 2001 that all publishing houses should operate according to market rules and work as commercial enterprises. According to the Chinese Book Market Data (2017), these 580 publishers produced more than 475,768 titles in 2015. More than half of these were new titles. Interestingly, the best selling 68 titles account for more than one million copies printed. When it comes to popular genres in China, the list is quite different when it comes to brick-and-mortar sales and sales in online stores. 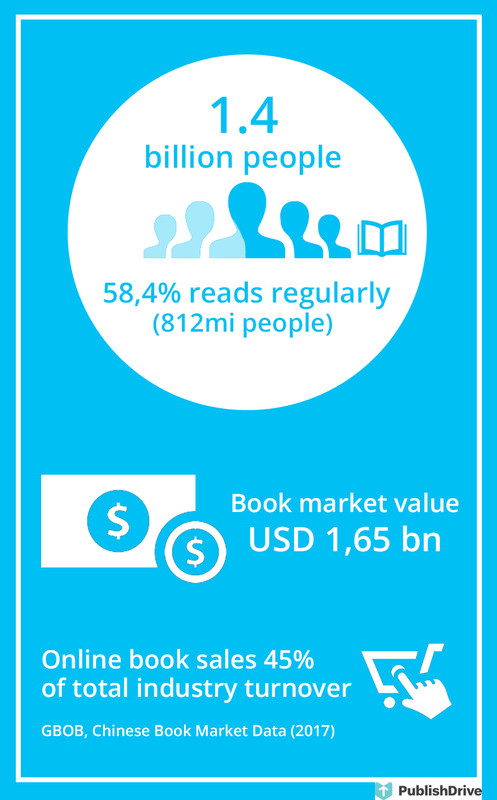 The following data is courtesy of Chinese Book Market Data (2016). 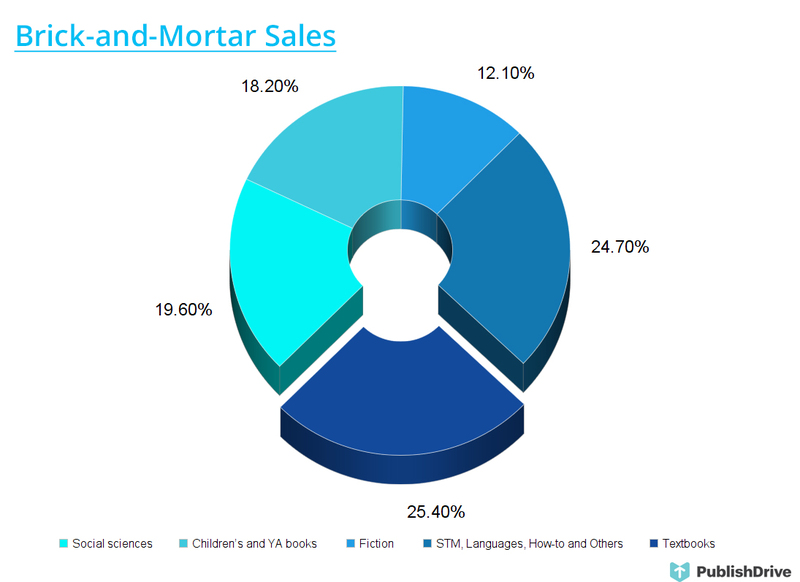 For brick-and-mortar sales, Textbooks (25.4%) are followed by Social sciences (19.6%) and Children’s and YA books (18.2%). Fiction is slightly behind with 12.1%, and STM, Languages and How-to books are closing the line. 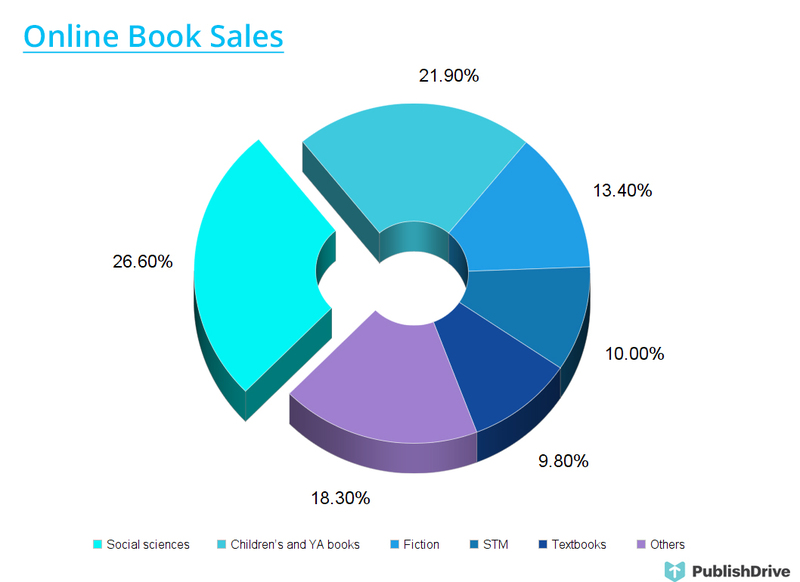 When it comes to online book sales, Social sciences are leading the way (26.6%), closely followed by Children’s and YA books (21.9%). Fiction (13.4%), STM (10%) and Textbooks (9.8%) are fairly behind. The Chinese Book Market Data (2017) lists the bestselling fiction and non-fiction titles of 2016 in brick-and-mortar bookstores: see in the following. Fiction is lead by Dispel Melancholy Grocery Store, a mystery book by Japanese author Keigo Higashino. Only four out of the ten titles are by Chinese authors. Other foreign names include Khaled Hosseini and Scottish teacher and young adult author Claire McFall. According to the New York Times, genre fiction is also increasingly popular: crime, romance, and wuxia. Out of children’s books, only Charlotte’s Web by E. B. White and The Little Girl at the Window by Tetsuko Kuroyanagi had made it to the top 10, if we are only looking at titles by non-Chinese writers. This is not surprising if we take into account the recent analysis by Publishers Weekly. They point out, that the two-child policy has resulted in a sudden increase of interest in children’s and YA titles, with publishers more interested in niche books than worldwide hits and classics. It is important to remember, however, that the Chinese government wishes to decrease the number of Western titles translated and published for children. They aim to reduce the impact of Western values on their under 14s. When it comes to native authors, the Chinese children’s books section is dominated by 雷欧幻像 (Leon Image). In overall, the Chinese Book Market Data (2017) points out that in 2015, publishers sold rights of 15,458 foreign titles in China. One-third of the rights came from the USA, 2,802 from the UK. Other important countries include Japan and South Korea. While online book sales were at around 44% in 2015, this doesn’t mean that e-publishing is blooming. It only means that people have started to change their preference from brick-and-mortar stores and stationery shops, where the majority of the book business was conducted previously. According to the Annual Survey of China’s Digital Publishing Industry (quoted by Chinese Book Market Data (2017)), revenue of digital publishing was 440.39 billion yuan (around 69 billion USD) in 2015. 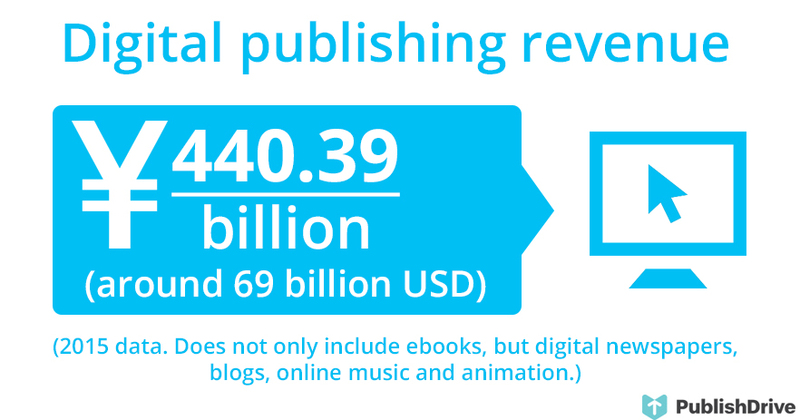 This revenue does not only include ebooks but digital newspapers, blogs, online music, and animation. The biggest portion came from “mobile publishing” (16 billion USD) and games (13 billion USD). According to the previously mentioned survey conducted by Amazon in 2016, 84% of people participating have read books digitally. Bear in mind, however, that the survey was conducted by Amazon, so we can’t assume that this is true for everyone. They have also found that more people are reading on Kindles than on smartphones; I would take this result with a grain of salt. The Chinese Book Market Data (2014) points out, that widespread piracy of ebooks has made most major publishers cautious; many bestsellers are not made available in ebook format at all. All major distributors already have implemented DRM, so this might change in the close future. Most popular Kindle books of 2016 in China: original or translated titles? Amazon China has also published the most popular paper and Kindle books in 2016. Looking at the charts, it seems that only 3 of the top 10 paperbacks and only one book among the top 10 Kindle books were Chinese originals. All other books on the bestseller chart were either Japanese or English translated works. But maybe the most popular books are not even books at all? It is possible that Chinese books don’t populate Kindle’s bestseller lists because readers turn to other channels for their daily fix. The majority of young readers turn to China Reading, a company created by merging Tencent Literature and Shengda Literature in 2015. China Reading is not only an authorized digital reading platform with social features. They are a giant organization created to cultivate and promote Chinese IP, including managing film deals. They currently have about 10 million digital works of 200 content types from 4 million authors. From a Western point of view, it might seem surprising that mobile phone literature was a prominent way of reading in China even before the age of smartphones. But if we look at the characteristics of Chinese writing, it is not that surprising. Chinese writing is based on logograms (hànzì): words can often be written by only a single character. So while the length of a traditional text message (160 characters) is only a few words if you speak German or Hungarian, it can be enough for a poem or a short story in Chinese. While the writing system makes Chinese an ideal language for short literature, the Irish Times points out that mobile reading has gained popularity as it was a way to avoid censorship. (This is probably no longer the case, as the Chinese government has made great progress over the last 15 years in tightening the rules regarding internet and social media.) As the popularity of mobile reading grew and has gained an audience always eagerly awaiting the next chapter (sometimes even texting back with plot suggestions), bigger publishers have also joined the field. Today, mobile literature has two main sectors. Books that were written in a traditional format but are also distributed via text messages; and books that were specifically written to be read as text messages. How to publish a book in China? Just upload it to PublishDrive! Our Chinese partner will deliver it to the readers. We believe that the Chinese market will bring our authors to a previously uncharted territory for foreign indie publishers. We are really looking forward to seeing what this cooperation will bring.